First merit list has been declared for Odisha +2 admission 2017 in Junior colleges. New Delhi: Keeping up the tradition of starting the +2 admission towards mid June every year, the Department of Higher Education/ DHE Odisha has released the first merit list for admission process in all Junior Colleges. 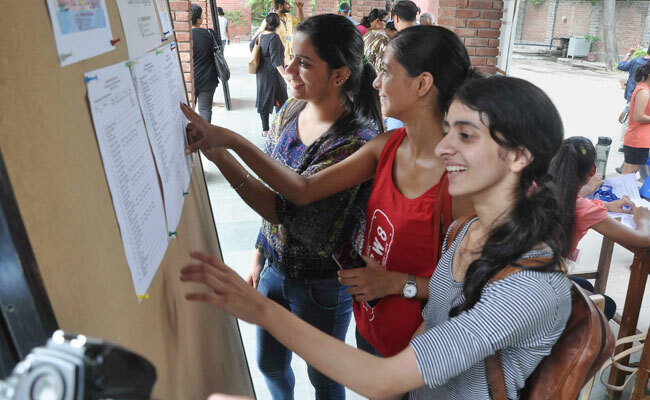 This year a total of 1578 colleges have participated in the e-admission process. The plus two admission in the State will be held against the sanctioned seat strength of 419641. Online CAF was accepted by the Higher Education Department till 7 June. Students, can check the cut off marks of the colleges at the online Student Academic Management System (SAMS). The highest cut off percentage in Science stream has been set by Ravenshaw (Junior) College, Cuttack (93.17%). One of the leading colleges in the State's capital Bhubaneswar, Buxi Jagabandhu Bidyadhar (BJB) College has set the first cut off in Science stream at 92.67 per cent. For Commerce and Arts streams, the cut-offs are 80.33 and 70.5 per cent, respectively. Students should note that the cut offs have been declared category wise. Other colleges in the list of 90 per cent and above cut off in Science Stream, are Saraswati (Junior) Vidya Mandir, Neelakantha Nagar, Berhampur and Basic Science & Humanities (Junior) College, Bhubaneswar. The second merit list will be released on 22 June 2017.